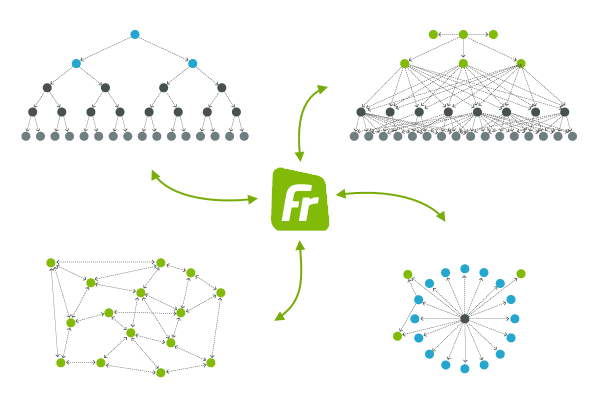 FreeBusy makes it easy to find a time that works for all, without needing to poll attendees. 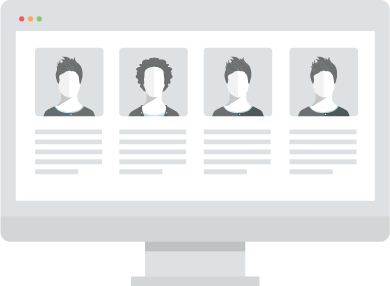 We overlay availabilities for all meeting attendees so you can pick the time with least conflicts. Coordinating meetings becomes so much easier. Scheduling is instant. Keep your business schedule in Office 365 and your personal appointments in Gmail? You can link together all your calendars (work, school, and personal), and share an unified view of your availability. Once linked, contacts from all linked account will be available in Outlook so you can quickly add attendees from different contact lists. How can I use FreeBusy for Outlook in O365? FreeBusy for Outlook is exposed through the Add-in button in the navigation bar. Just tap FreeBusy in the list of installed add-ins. 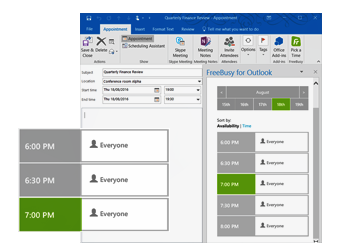 If you are composing an email, FreeBusy for Outlook will let you suggest times to meet for the recipients you specify. If you start FreeBusy for Outlook add-in whilst creating an appointment, you will be able to propose a start time that works for everyone. Just start a new email message, tap Add-ins in the navigation bar and select FreeBusy. Provide recipients you wish to meet with and indicate the times you're free. We'll insert them into the email for them to pick the right time. Can I pick the time that likely works for everyone? Just start a new appointment, tap Add-ins in the navigation bar and select FreeBusy. Provide recipients you wish to meet with and pick from the times marked free. We'll use your selection as an appointment start time. The Pick-A-Time feature of FreeBusy for Outlook knows Julie's availability and shows it on top of John's. This way, John sees the times Julie is busy, so he can propose a time that's likely to work for her.